Superior Livestock will hold their regular Every Other Week sale on DISH and online- starting at 8:00 AM Central time this morning- 28,800 expected to sell- details about the sale, how to watch and how to get a buyers number this AM available by clicking or tapping here. FedCattleExchange.com offered 596 head Wednesday with 0 cattle actually selling. Click here to see their complete market results. 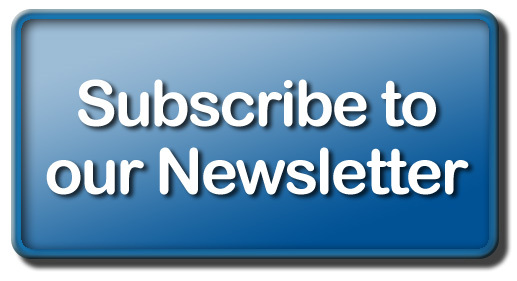 Click or tap here to read more about the Night of Gilts sale. 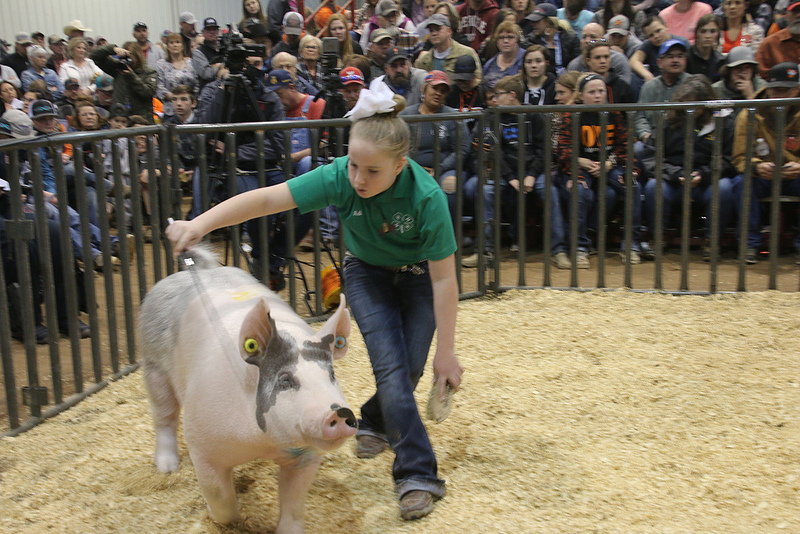 Our thanks once again to ITC, Your Energy Superhighway for their sponsorship of our front to back coverage from the 2019 Oklahoma Youth Expo, the World's Largest Junior Livestock Show. 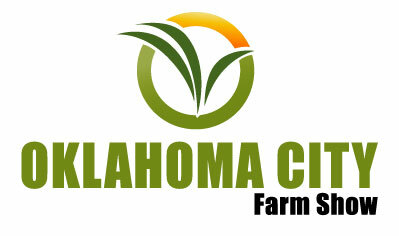 Make Plans to attend the Oklahoma City Farm Show, coming April 4th, 5th and 6th, 2019. Admission and Parking are free. Gary O'Neill, USDA Natural Resources Conservation Service (NRCS) State Conservationist for Oklahoma reminds producers that Field Offices are currently taking applications for the Western Oklahoma Wildfire Recovery Initiative under the Environmental Quality Incentives Program (EQIP). "Technical assistance is always free to all farmers and ranchers." stated O'Neill. "This initiative is set up to help with recovery efforts of the wildfires that burned parts of Woodward, Woods, Dewey, Ellis, Custer, Beaver, Harper, Roger Mills, Major and Harmon counties in 2017 and 2018." These are voluntary programs to assist producers that have been affected by wildfire disasters accross western Oklahoma. Eligible landowners and operators in these counties need to apply at their local NRCS office by March 29, 2019 to be considered for the current ranking period. Other programs are also available which offer financial assistance from NRCS, click or tap here to read the full article. The Livestock Market Information Center's Jim Robb tells me that when it comes to meat production- beef, pork and poultry- "we've added nearly eight pounds - and that's a big percentage increase." Although per capita meat consumption has been trending higher in recent years; 2019 may finally see a change. Robb says that poultry production may slightly decline in 2019, while pork production may be leveling off this calendar year. Click or tap here and listen to Jim and I's full discussion on this change in per capita meat supplies and how that could help cattle prices in the days ahead. He explains that the drop in poultry could be further enhanced if there is trouble in planting corn acres in the next couple of months. Some of the member Land Grant Schools in the Delta have reported that now is the time that corn should be planted- and farmers can not get in the fields because they are muddy. Some of those acres could be forced over to soybeans. Higher corn prices could result- undoubtedly hurting beef, poultry, and pork - but the latter two will hurt more if fewer acres than expected end up being planted. "The growing demand across the entire food supply chain - including end consumers - is to 'Know Your Food.' The ripe.io platform generates powerful levels of transparency and trust by enabling collaboration and consensus of data and activities within food systems," said Raja Ramachandran, co-founder of ripe.io. National Pork Board and Ripe Technology, Inc. have made an agreement to pilot blockchain technology use in the U.S. pork industry. This partnership will enable an ecosystem that will allow pork producers to monitor, evaluate and continuously improve their sustainability practices based on the We CareSM framework. "Over the last 50 years, America's pig farmers have followed the We Care principles to produce a product that has become increasingly sustainable using 75 percent less land, 25 percent less water, and 7 percent less energy," said Dr. Brett Kaysen, assistant vice president of sustainability at the National Pork Board. These standards also serve as the pork industry's commitment to continuous improvement. Blockchain technology makes it possible to create shared, immutable trusted records that address critical food issues such as sustainability, quality, traceability, waste and fraud. "We look forward to working with ripe.io to use blockchain technology to record proof points through a system that can benchmark performance while increasing transparency of the entire pork value chain," expressed Dr. Kaysen. 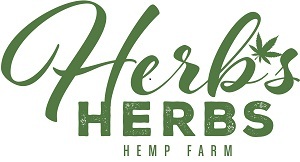 Click or tap here to get more details on this partnership. The Animal Agriculture Alliance's 2019 Stakeholders Summit themed, A Seat At The Table, will be held May 8-9 at the InterContinental at the Plaza Hotel in Kansas City, Missouri. Discounted registration rates are available through April 1. Be sure to check the Summit website for registration and the most up-to-date Summit information. Panelists include Jane Andrews, a retail nutrition consultant, Christine McCracken, executive director of animal protein, Rabobank and Andy Brudtkuhl, director of emerging technology, National Pork Board. Click or tap here to read more on these three experts who will bring their unique perspectives to the table to discuss gene editing, alternative proteins and blockchain technology. Attendees will hear the latest updates in each area and have the opportunity to ask questions about what impacts each subject may have on their business. The panel will be moderated by Chuck Jolley, president of Jolley & Associates, a Kansas City-based marketing and public relations firm that concentrates on the food industry. The losses up north of us in Nebraska are staggering- and the costs continue to trend higher. According to an eight-page disaster declaration request filed by Nebraska officials, preliminary estimates put agriculture losses from the flooding and blizzard near the $1 billion mark. State officials on Wednesday said the numbers could continue to rise as more-detailed assessments are completed. Several groups in Nebraska are taking donations to help ag producers. Click here for the fund organized by the Nebraska Cattlemen's Association- they point folks who might have hay donations and the like to the Nebraska Dept of Ag who is coordinating that type of help.